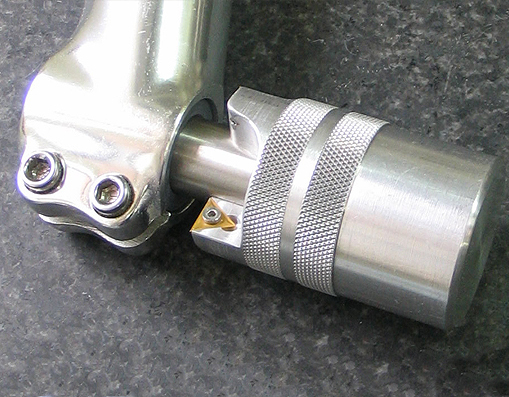 This tool is designed to precisely mill the surfaces of the stem to be perpendicular to the steering tube. 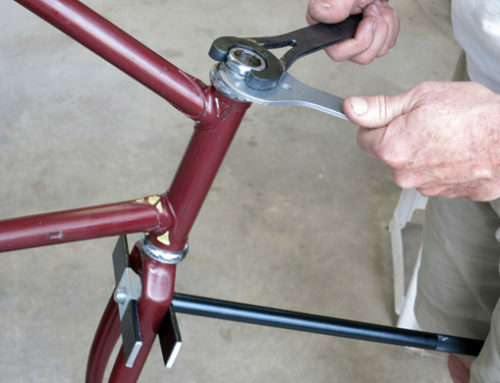 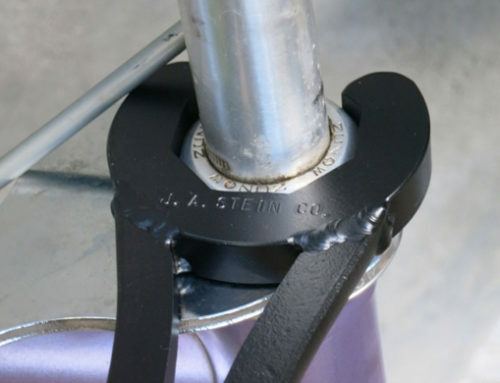 Often after the frame and fork are precisely machined, and the new headset is installed, binding of the bearings still occurs — the last surface of the stack needs to be corrected. 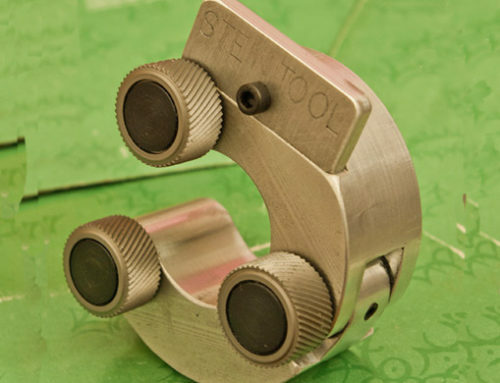 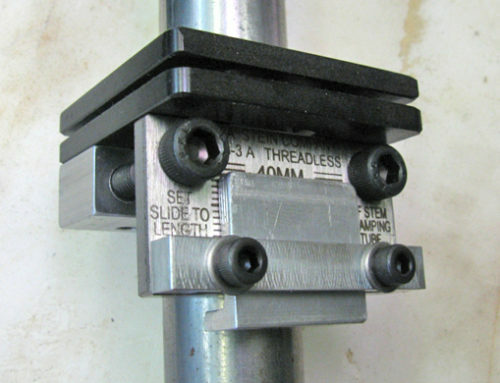 This tool ensures that the bearings of the headset are evenly contacted, and that no binding occurs, which would result in premature wear of the bearings. 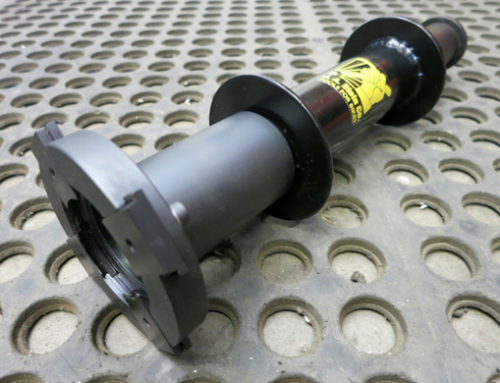 The tool is used by inserting the bushing into the stem, then very carefully rotating the tool so the cutting teeth mill off the high spots. 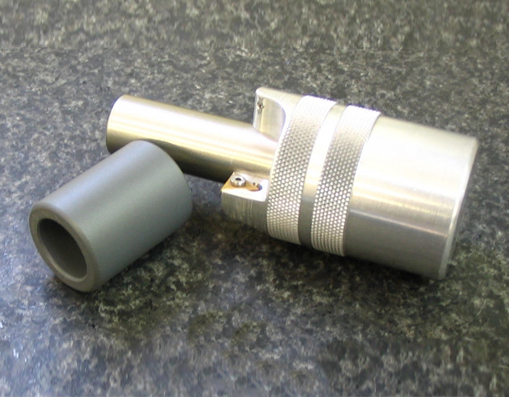 The cutters of the tool are carbide inserts and are available as replacements if ever needed.